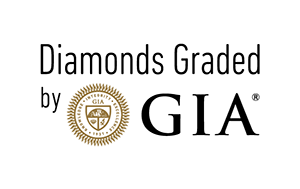 In the 1950’s the Gemological Institute of America (GIA) developed the grading system for diamonds known as the 4Cs (cut, color, clarity, and carat weight). It quickly became the universal standard for describing diamonds. The system allows you to identify the quality of a diamond, compare it with other diamonds. When a diamond is a cut to good promotions, light will reflect from one mirror like facet to another and disperse through the top of the stone, resulting in brilliant display. Diamonds that are cut too shallow or deep will lose light through the sides and bottom of the stone and may have a dark center. Diamond color is graded on a scale from D to Z. Truly colorless stones are rated D through F and are extremely rare. Value starts to drop significantly at grades L, M and N, and then increases again at the very end of the spectrum, which includes fancy diamonds that can be yellow, blue, pink or other color. Each grade has a defined range of color appearance. Many of these color distinctions are so subtle they are invisible to the untrained eye. Virtually all diamonds have some type of inclusions, or flaws. The difference in the clarity of stones depends on the naked eye or only when magnified 10 times under a microscope. The location of the flaws are also important. Clarity is a graded on a scale with flawless (F) or internal flawless (IF) at the top, followed by VVS1 and VVS2 (very very slight inclusions), VS1 and VS2 (very slight inclusions), SI1 and SI2 (slight inclusions), and I1, I2 and I3 (inclusions are visible to the naked eye). The smaller the number, the fewer the inclusions. Diamonds any lower on the clarity scale are not considered gemstones and used mainly for industrial purposes.